Bloggy and the Beast: Will the real Small Corner please stand up? 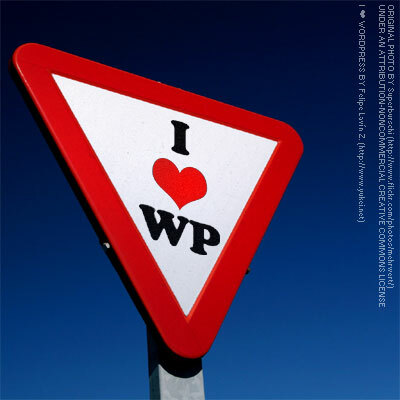 Aaahh, WordPress – how I adore thee! I spent some time this afternoon expostulating about the benefits of WordPress over other blog service providers. I did it with such passion I could’ve been preaching life or death! It is perhaps a little sad (how did people ever describe that concept of sad before ‘sad’ came to mean anything other than unhappy?!?) that I care so much about my small corner of the internet and how it looks and functions, but I AM NOT ASHAMED! I will stand loud and proud, declaring my love of all things blog. Hmmm… a strange thing, perhaps, to be rather choosy about to whom one discloses the details of where one publishes one’s contribution to the community we call ‘Blogging’, but I am reluctant that anyone and everyone should know where to find my online voice. The Beauty of blogging, you see, is the sheer pleasure of expression: finding exactly the right word in exactly the right place to convey exactly the right tone… its an ART! Then of course the pleasure of reading the rants, stories and thoughts of others who are, if not similarly minded – at least similarly appreciative of the craft: creating dialogue from monologue, banter from battle and in many tiny steps ultimately plotting to TAKE OVER THE WORLD! You see, the thing is… its not that what I choose to publish online is a different persona than that which I project in life and work – that I lie or falsify myself in either area. But I guess I’m just wary of publicising the fact that some of my thoughts have made it into written form and are emblazoned across the Web because, in a sense, its only one part of me. A part that can be held up and spread around out of context (if anyone actually could be bothered doing so!). I’ve heard it said that “who you are when you’re alone is who you really are”. I could be being rather hasty (it happens when you think ‘out loud’), but… b*ll*cks. Maybe even with a capital ‘B’, but I’m not sure yet… Surely different situations bring out different parts of your personality in a way which is neither false nor schizophrenic? So, for example, if I’m with my best friend, I’m laid-back, blunt as a sledge hammer and sometimes ridiculously silly; if I’m with students, I’m more upbeat, phrase my sentences more carefully (sometimes!) and am generally more pragmatic; if I’m with older people from church I’m more measured, thoughtful and serious; and on my blog I’m much more flippant and articulate (its all relative, huh?!). Which one of those people is the real me? Surely all of them!? 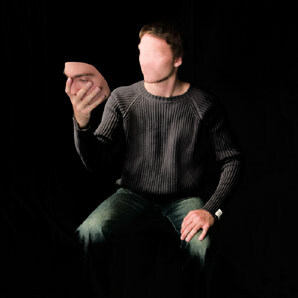 I am not a two-dimensional character… I am a person, created in the image of Yahweh, and I cannot be summed up by the examination of one part of my life and to do so is to judge wrongly. Is that what we do when we judge people? We only look at one (maybe even two or three) ‘parts’ of a person and come to a conclusion, put them in a box and sit back with our arms folded smugly thinking we know them. We look down on people’s insecurities because we don’t take the time to understand why they act or feel the way they do; we gossip about one thing someone once did without making the effort to find out why; we give up talking with someone we’ve known ‘inside out’ for a long time because we don’t recognise that their thoughts, opinions, dreams, desires, likes and dislikes are fluid and don’t fit inside the box we built any more. That, I suppose is why only God can judge – He truly knows us inside out, upside down, right side up and back to front. He sees all our ways, thoughts and actions all of the time. I’m not saying that we can’t be false – just that when we’re different with different people its not always as deceptive as we think; nor is it something to get hung up on. Where is the line…? I’ll leave that to you to conclude (or perhaps to the Jewish World Review?). So, who is the real Small Corner…?